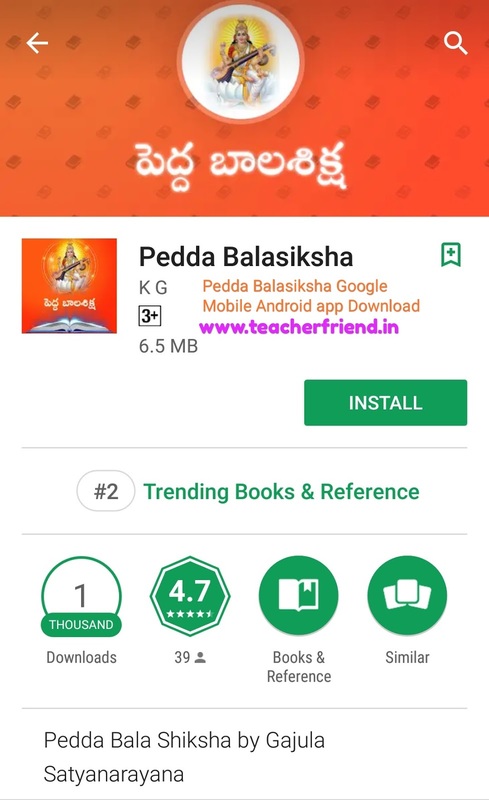 Pedda Balasiksha google Android app Download/Telugu Pedda Balasiksha google mobile Android app download at Google play store/Telugu needhi Pedda Balasiksha Google Mobile Android app Download at play store/Telugu literature Pedda Balasiksha Google Mobile Android app Download at play store. Pedda Balasiksha is an encyclopedia in the telugu language. suitable for children and adults. The book contains knowledge related to literature, arts, culture, morals, games, mythology, and science. The book was considered part of the academic syllabus for students until the 1960s. Get Download Pedda Balasiksha google mobile Android app Click Here.